An NDTV investigation tracks down construction projects where little has changed even after deaths of workers. Construction workers in India face great risk due to a systemic lack of accountability. In Navi Mumbai, satellite city to India's business capital, Sai Mannat, a high-rise apartment complex is taking shape. Built by the Paradise Group, it offers more than 300 flats starting at Rs 1.5 crore. Amenities include a clubhouse with a gymnasium, badminton and squash court, spa and swimming pools. The gloss conceals a dark chapter. On May 22, two workers, Rehmetullah Sheikh and Aitbari Ansari fell to their death. They were part of a group of three, suspended on a metallic plank on the 17th floor during plaster work of a building from the outside. The rope of the metallic plank snapped. One worker hung to the rope and was saved but the other two died on the spot. Today, despite the deaths, the risk to workers persists. Workers at the Sai Mannat site in Navi Mumbai continue to work in unsafe conditions. 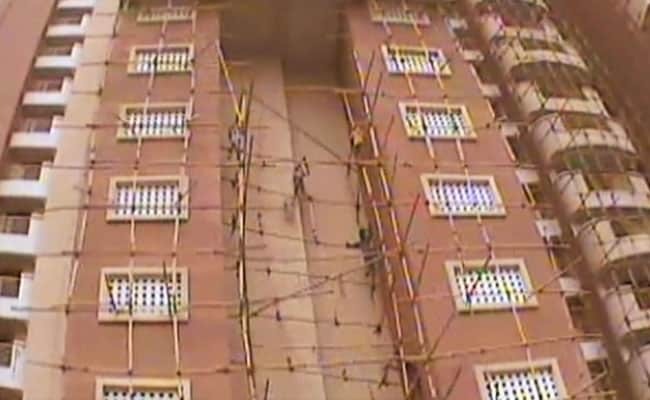 We filmed inside the Sai Mannat site using a hidden camera - as well as a regular camera from the outside - to find workers suspended several stories above ground without safety nets or belts. We could see open wires, posing the risk of electrocution. 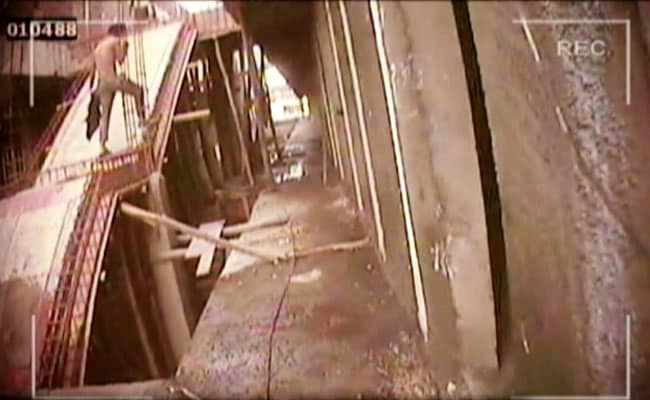 A metallic plank, the same one which caused the fatal accident in May, could be seen sliding down the building, tilted, with three workers on it without helmets. These findings shed light on the darker side of India's $140 billion construction industry, where a pervasive lack of safety, as well as lack of government oversight places millions of workers at grave risk. The Building and Other Construction Workers Act, 1996, which governs safety at worskites, sets out nearly 200 rules, including asking employers to ensure that workers are supplied with helmets, boots, harnesses and other safety equipment. Risky open spaces are meant to be covered, with netting, for instance. Exposed wiring in wet areas is another no-no under the law. In the case of the Sai Mannat accident, the workers could have been protected had they been harnessed to a solid part of the structure. Also, the platform needed to be tested for its load-bearing capacity, say experts. Builders, however, have little pressure to follow these norms, given the appalling lack of government oversight. The contractor, Prakash Kadam told NDTV, "The wire snapped. He (the worker who died in the accident) was wearing a safety belt but it wasn't connected to where it was supposed to be connected." 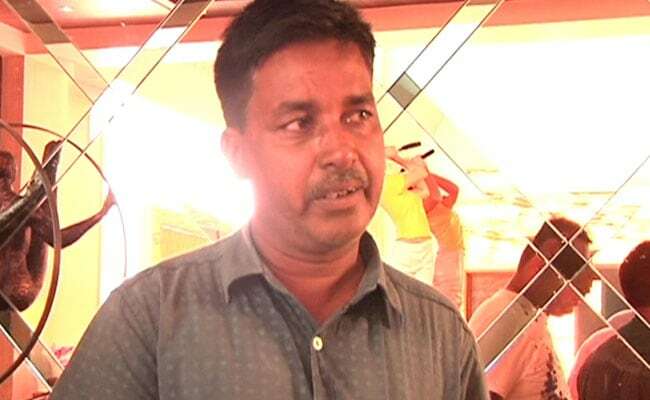 Prakash Kadam, a contractor at the Sai Mannat site, admitted there were lapses in safety procedure. In theory, inspectors from the Labour Department are meant to conduct checks to ensure safety measures are in place, especially if there has been an accident. In practice, such inspections are rare. "I have rarely seen them (inspections for safety)," said Sunil Batta, a Delhi-based project manager who has been in the real estate business for 36 years. The police too is meant to swing into action. In this case, it did not book the builder; instead booking the contractor, Kadam, on charges of death due to negligence. Kadam is out on bail and back at work at the same site. The worrying notion that a site where safety violations have caused a fatality could see more deadly accidents is not an abstraction. In Thane, on the outskirts of Mumbai, Bhumi World, an industrial park is being built. The bustling site bears little indication of the multiple fatalities that struck it. 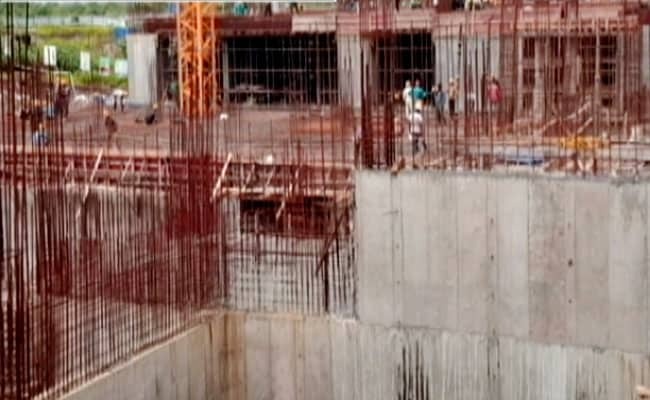 Two workers died at the Bhumi World site in Thane within months of each other. On March 22, a worker called Sonu Kushwaha fell from a height of 21 feet and died. Just two months after Sonu's death, the project witnessed another fatal accident. 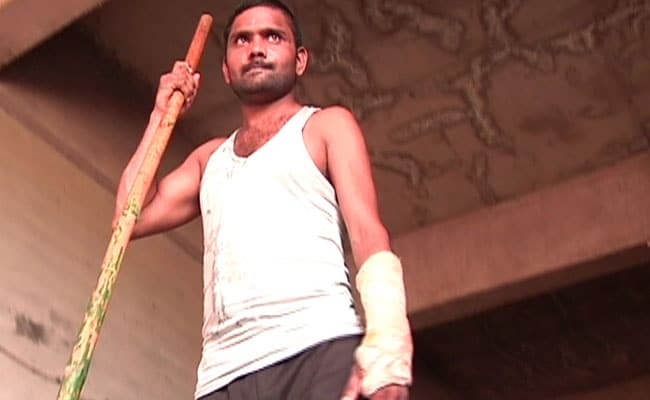 Perched on bamboo scaffolding, two men, Om Prakash and Manish, were untying it when part of a nearby wall fell, bringing down the scaffolding with it. Om Prakash died on the spot of injuries to his head. Manish survived, but with multiple fractures, and injuries. Manish survived the accident at the Bhumi World site in Thane with injuries. He said, "The safety belt was tied to the scaffolding, so when the scaffolding fell with the wall, the safety belt was of no use." Not far away from the Bhumi Project, NDTV found another construction site which has witnessed multiple fatalities: a TCS Building coming up on the Hiranandani Estate. In December last year, as the foundation of the building was being dug, loose mud collapsed and three workers - Dukalo Paraboi, Mohammed Lashkar and Lakeshwar - were buried under it. Lakeshwar's sister-in-law told NDTV that the body of her brother-in-law was dug out only the next morning. The TCS Building at the Hiranandani Estate in Thane also suffered multiple deaths of workers. Batta explained that the mudslide, a common risk at building sites could have been averted had the builder installed plates along the surface which is being dug, or angular bars to prevent the earth from collapsing. In June, as monsoons swept Mumbai, death would return to the TCS building site. Mangta Hasada, a worker from Jharkhand died as a high iron stand fell on him. A labourer who worked at the construction site told us the rains had softened the mud. "He (Hasada) was joining the iron rods at the other side. The ground usually remains loose during that time, so one side toppled over him," said one of the workers at site. At the office of the labour department in Thane, no one was able to tell us if these buildings were inspected for safety hazards before - or even after - the deaths. Officials here explained, off camera, that checks for security and safety measures at construction sites is "technical matter" and their "inspectors are not trained" for it. Part of the infirmity is with the law itself, which places greater emphasis on inspections to monitor social welfare measures on construction sites - registration of workers with labour board, minimum wages, clean drinking water, toilets, creches and so on - as opposed to safety. In Thane, as elsewhere, even if the inspectors were trained, they are too few. There are only six labour inspectors to cover a district 147 sq km in size, bustling with construction activity. No company official from either the Hiranandani or the Bhumi project was prepared to speak to us. 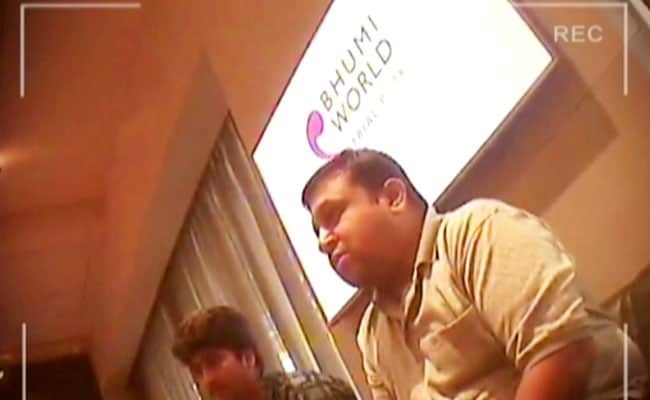 Using a hidden camera, we interviewed a sales person from Bhumi World. He blamed the contractor for the deaths at site. "We have given the contract to Everest Group," said the sales manager at Bhumi World industrial park. "Deaths happened because of their fault. We have a lot of different contractors." Officials at the Bhumi World project in Thane near Mumbai blamed the deaths on contractors. Under the law, all stakeholders - from developer to the contractor - are liable for action in the case of an accident. In practice, the police act against the lower tiers of responsibility. 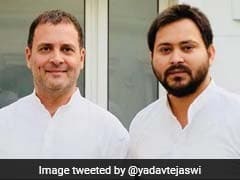 In the case of Bhumi World, the police arrested the contractor; in the case of the TCS project, they arrested a supervisor and a machine operator. In all the cases, the men were charged with death due to negligence. In all the cases, the accused are out on bail and back at the site. There is no assurance that these sites are any safer, even after multiple, deadly accidents. We filmed discreetly at the Bhumi World site, and could see open wires, men walking up temporary, slippery planks on a height without hand railing or any support and no safety nets at any of the buildings. A first-of-its-kind study by NDTV has found 1,092 workers died because of accidents on worksites between 2013 and 2016. The actual figure may be higher. Batta, the project manager, told NDTV that the cost of providing safety for workers at sites is insignificant compared to the money spent on actual construction. "It is just their (builders') carelessness," he said.